It is our experience that the NZ Freshwater Science Society meetings are a supportive and kind environment for sharing knowledge and fostering the future of freshwater research and management in Aotearoa. We invite delegates to acknowledge this by adopting a Code of Conduct. We are committed to the open exchange of ideas, the freedom of thought and expression, and respectful debate. These require a community and an environment that recognises the inherent worth of every person and group, that fosters inclusion, dignity, understanding, and mutual respect, and that embraces diversity. For these reasons, we are dedicated to providing a harassment-free experience for participants at our conference. Harassment and hostile behaviour are unwelcome at the New Zealand Freshwater Science Society conference and in any related community interactions. This includes: speech or behaviour (including in public presentations and on-line discourse) that intimidates, creates discomfort, or interferes with a person’s participation or opportunity for participation in the event. It is the responsibility of the community as a whole to promote an inclusive and positive environment for our scholarly activities. In addition, any participant who experiences harassment or hostile behaviour may contact any of the conference organising committee members present at the event. Please be assured that if you approach us, your concerns will be kept in strict confidence, and we will consult with you on any actions taken. In case of a formal complaint, the contacted conference organising committee member will first speak to all parties involved to try to resolve the issue – without presupposition of guilt. 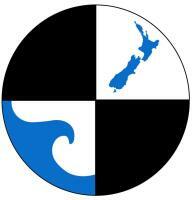 We invite delegates to be kind and enjoy the 50th annual conference of the New Zealand Freshwater Sciences Society.